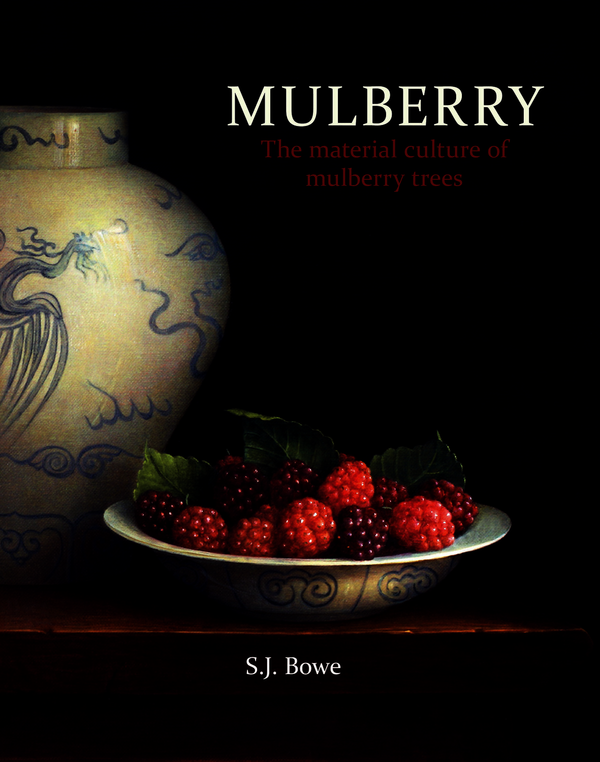 The book is fundamentally about mulberry trees (both Morus nigra and Morus alba) and all the artefacts created from both the wood and other materials such as silk. The study looks at mulberry trees in the United Kingdom and also those that grow in Japan - including those located on the Izu Islands. The material culture analysis features a model developed at Winterthur Museum in the USA that details information on place, space, technique and technology, maker and marketplace, ritual and custom plus message and symbol . The focus in the United Kingdom relates to mulberry trees associated with historic buildings and gardens. Most of the United Kingdom based trees that feature in the book have a significant history and associations with important people such as William Shakespeare. While the trees in Japan can also have significant age they tend to be associated with the Japanese Sashimono furniture tradition and the wood called shimakuwa (island mulberry) is the most highly regarded wood - which is often used in the tea ceremony. The material is becoming extremely rare and its use is now limited due to the expense of the raw material. Unique publication on mulberry wood to accompany exhibition in Liverpool in October 2015 (many of the exhibited artefacts are illustrated in the book). Mulberry wood has a strong popular appeal to those interested in Japanese culture and material culture. Will appeal to craft and furniture enthusuiasts as well as the general public. The national collection of mulberry trees is at Buckingham Palace. Stephen Bowe is Senior Lecturer, Liverpool John Moores University.